“I Think We’ve Got A Problem” by Reversing Falls, from their self-titled debut album, out Tuesday, April 23. 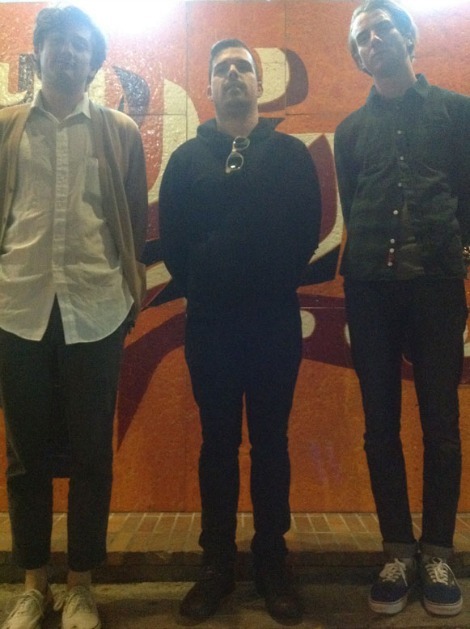 The Montreal three-piece comprised of Tyler Crawford (vocals, guitar), Charlie Neufeld (lead rhythm guitar) and Jesse Ash (bass) partially recorded the record at Crawford’s own IRL Recording and at various churches and apartments throughout Montreal. Co-producer Mark Lawson (Arcade Fire, Timber Timbre) helped fill out their emotive songs about the futility of human relationships (“Is This Thing On?”) and hometown ennui (“Curse This Place”) while Howard Bilerman (Arcade Fire, Wolf Parade, Godspeed! You Black Emperor) mixed the album at Hotel2Tango. “Curse This Place” by Montreal band Reversing Falls. The song is the debut single from their upcoming, self-titled album (out April 19). The video for the song was directed by Laura Crapo. REVERSING FALLS, CURSE THIS PLACE video by Laura Crapo dec 2012 from Laura Crapo on Vimeo.